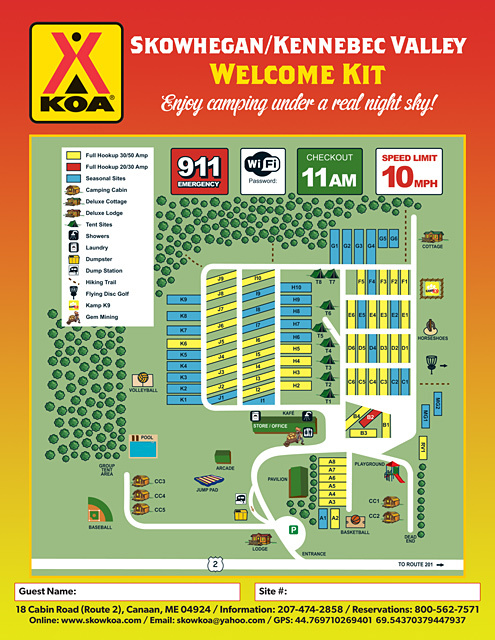 1) Advertising-supported maps that are printed by one of the industry’s major site map production companies. 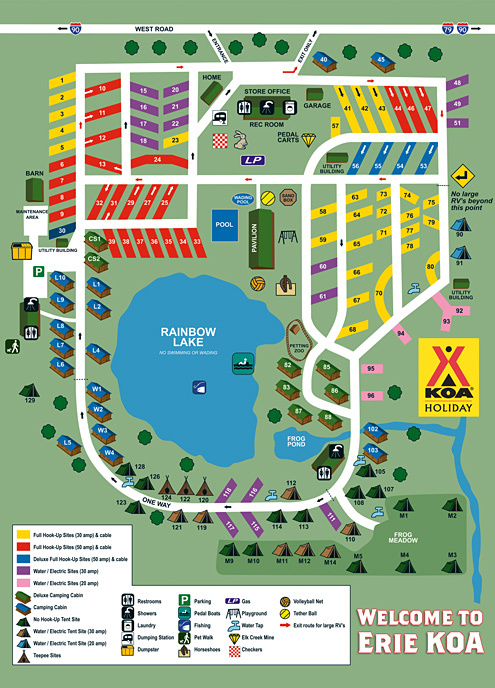 These maps look okay and generally cost you nothing. 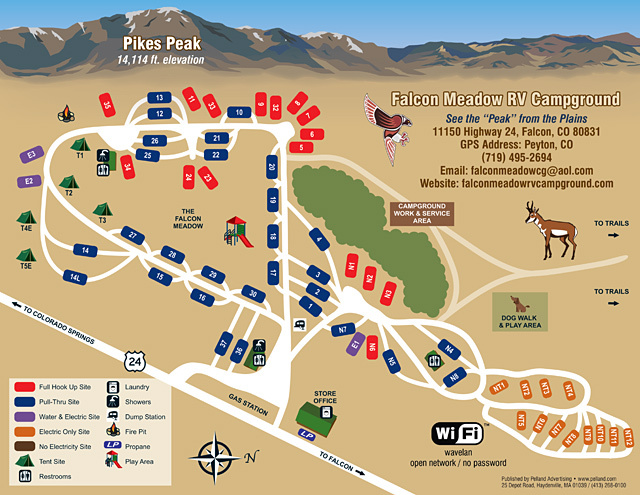 The down side is that they take a year or longer to produce (because of the time required to sell the advertising), they leave local businesses with the impression that you owe them some sort of return favor, and they may not be viable for campgrounds in more remote locations that do not have a large enough base of potential advertisers or for smaller campgrounds that will not be able to distribute a high enough quantity to make the advertising worthwhile. 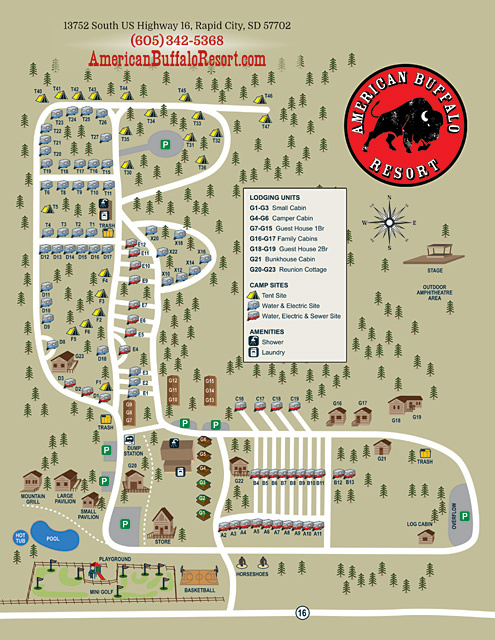 2) Homemade maps that look like they were hand-drawn on the back of a napkin and then run off on a copy machine. 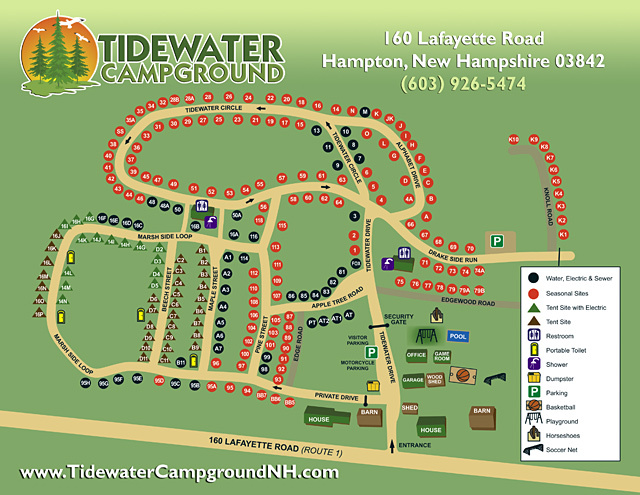 Needless to say, these do not create a positive impression. 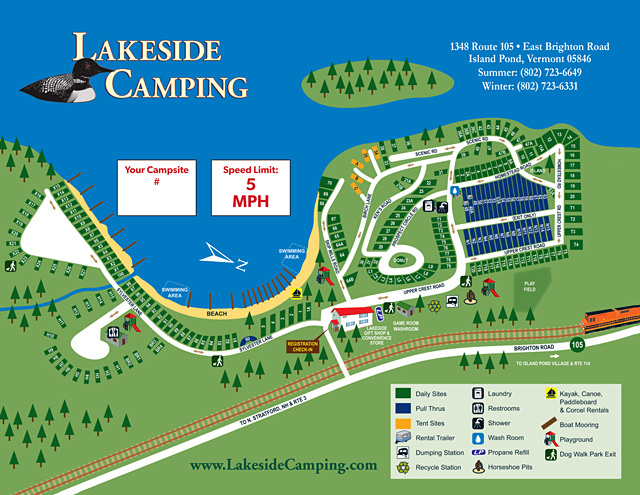 3) Site maps that are posted online but do not quite hold up to the quality standards of the rest of the website in which they are contained. 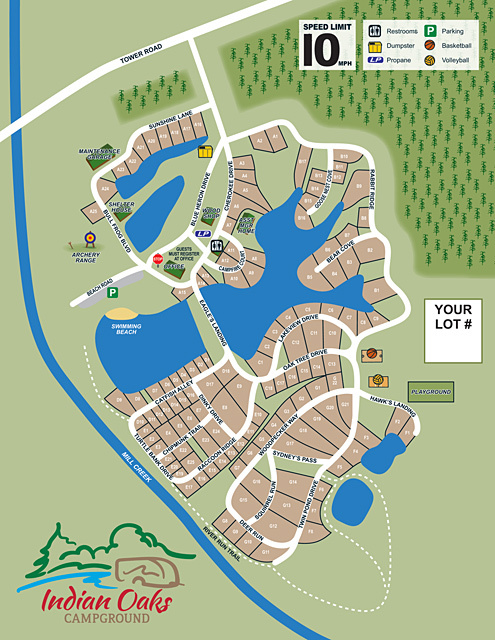 Many of our clients turn to us for a better option, where we produce a professional quality site map for a reasonable fee and that can be used both online and in print. 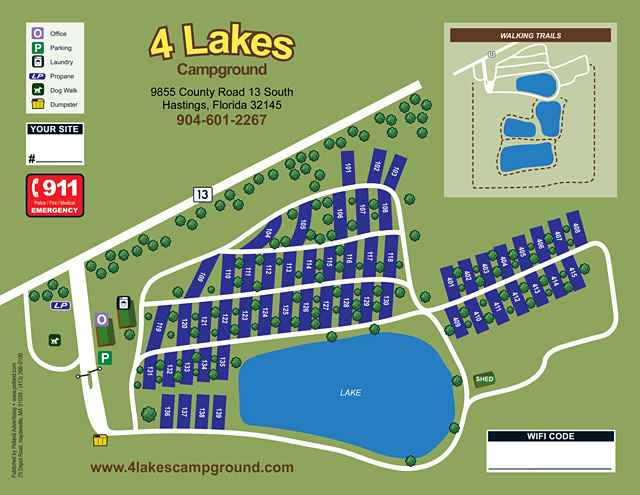 Depending upon the complexity of the project, which is usually directly related to the size of your campground and the quality of the supplied materials, our production fees will run between $400.00 and $600.00. 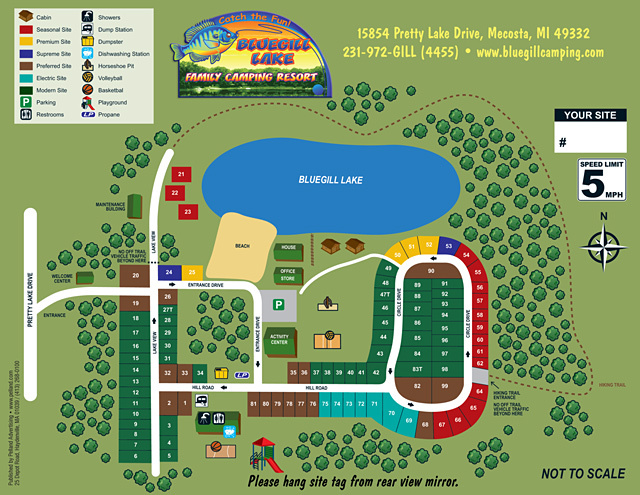 For this fee, we produce a high-resolution PDF file that you can print on your own color laser printer, a medium-resolution PDF file that will be able to post to your website and that visitors may download more quickly and print on a standard 8½x11" sheet of paper, and a preview image set to any pixel width that you require. 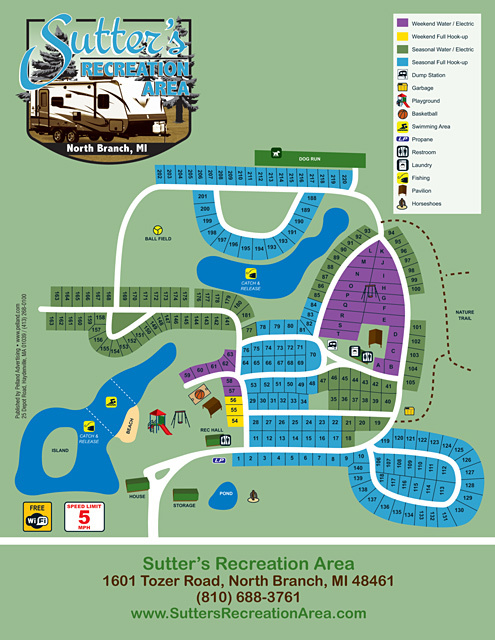 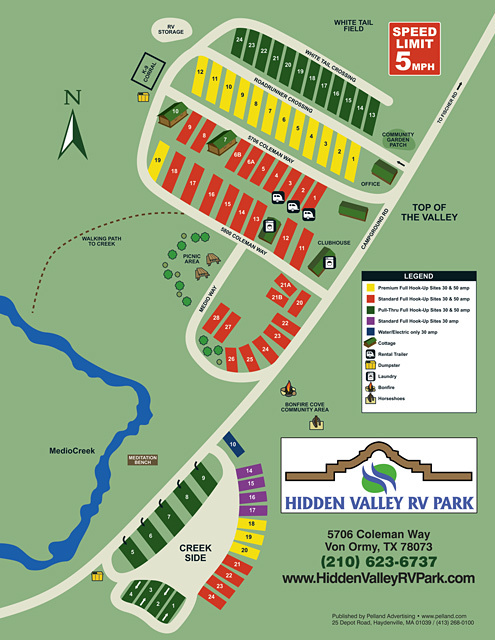 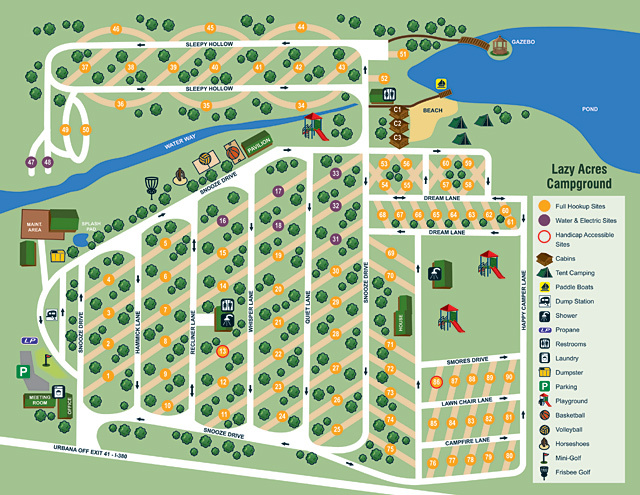 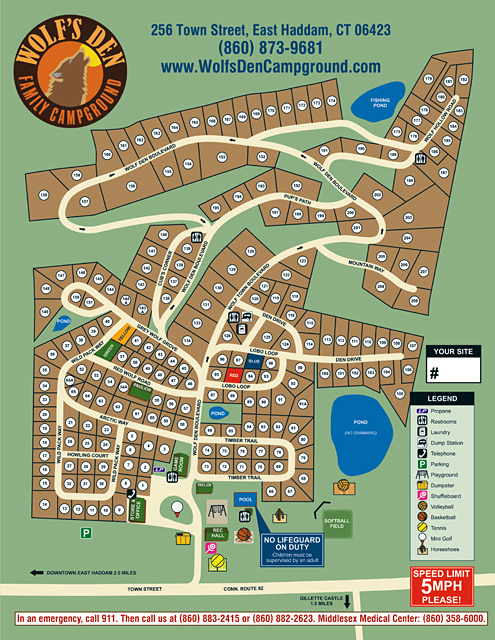 In addition to family campgrounds, we produce maps for outdoor resorts, summer camps, mobile home parks, and caravan parks anywhere in the world. 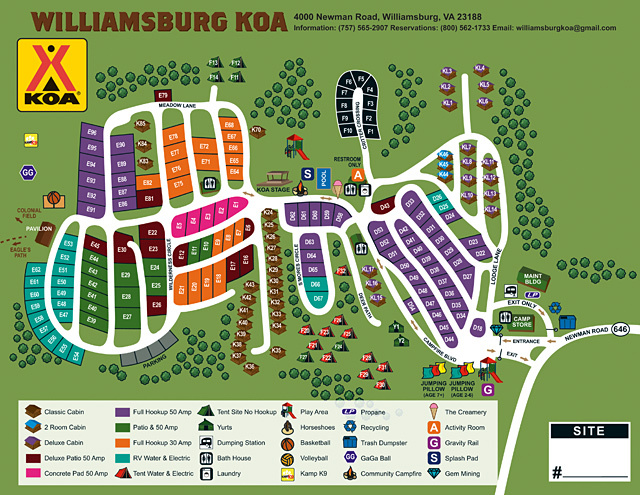 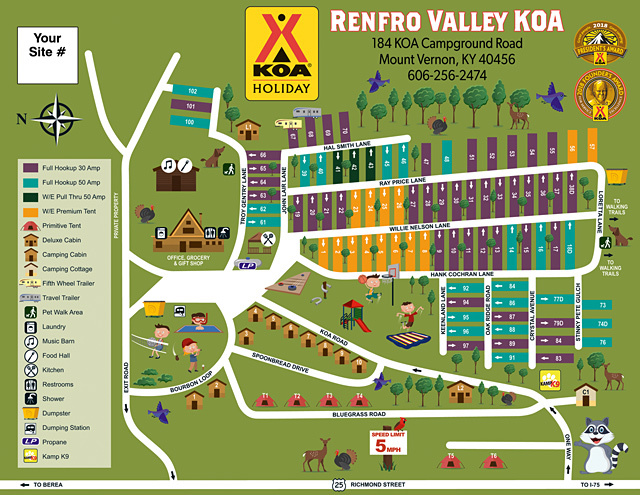 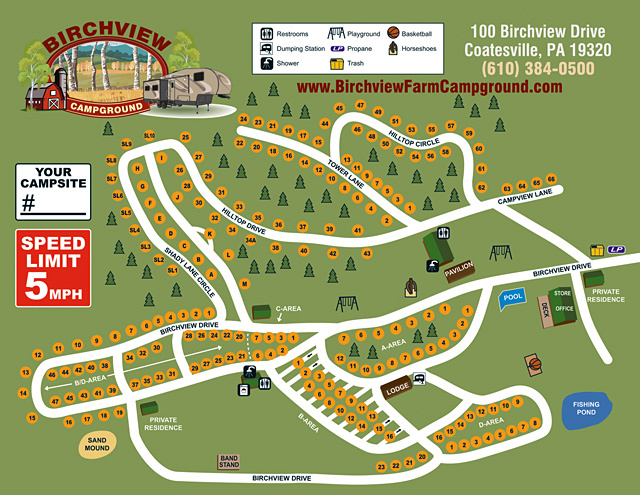 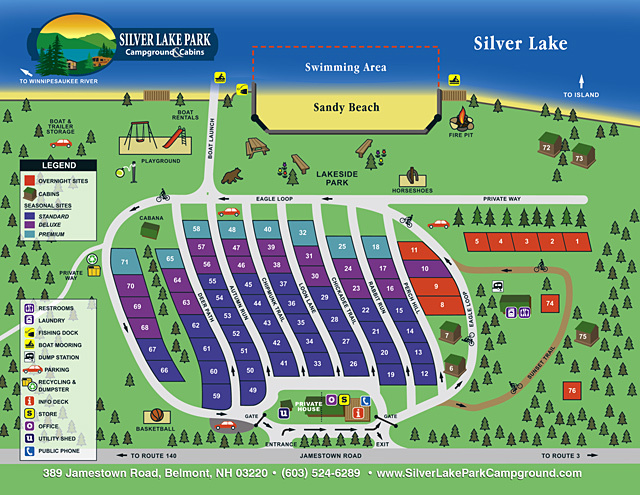 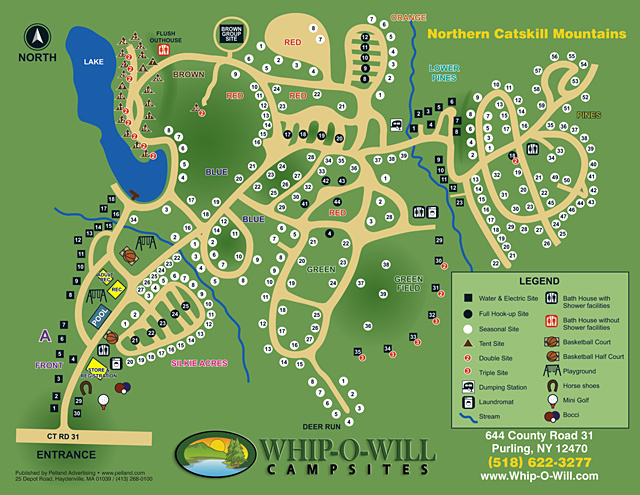 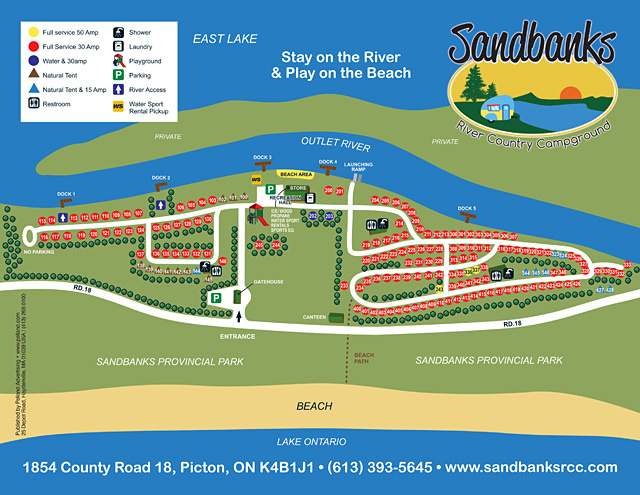 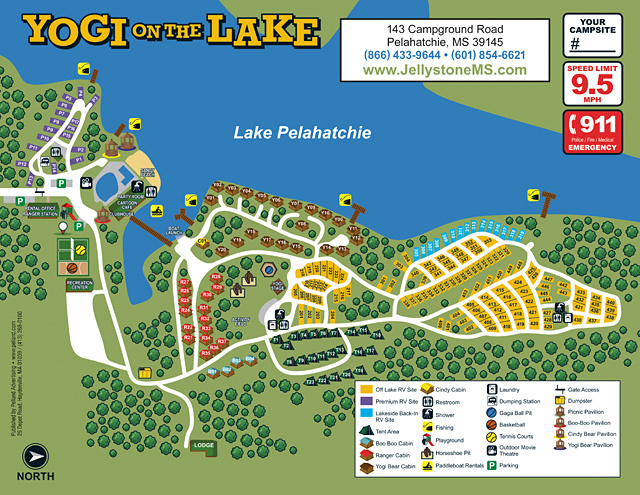 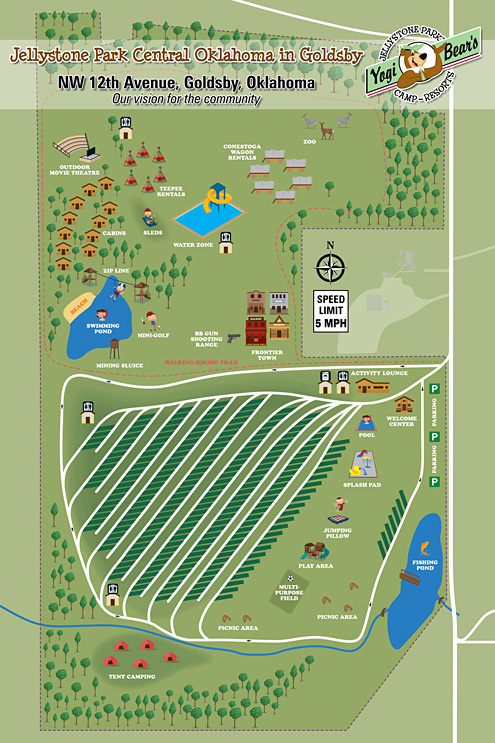 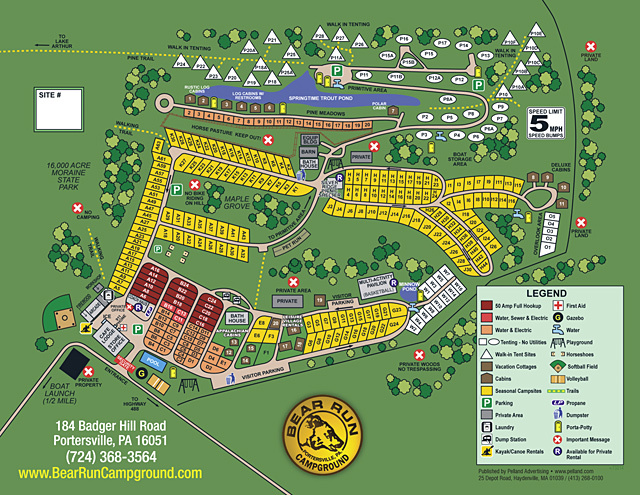 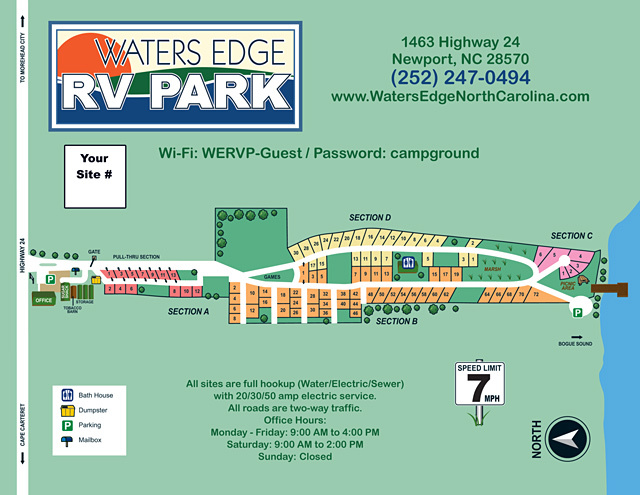 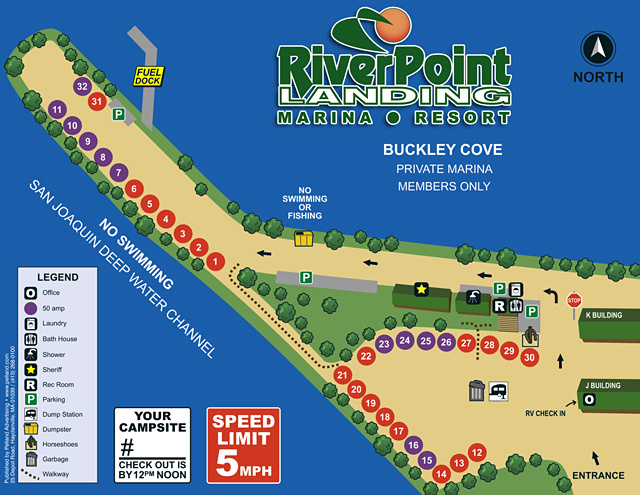 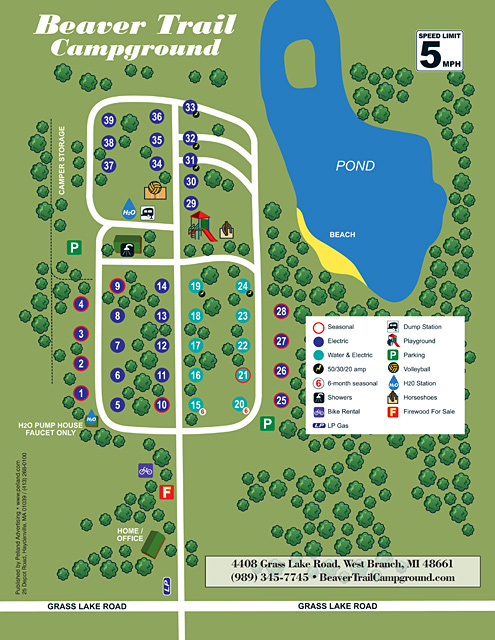 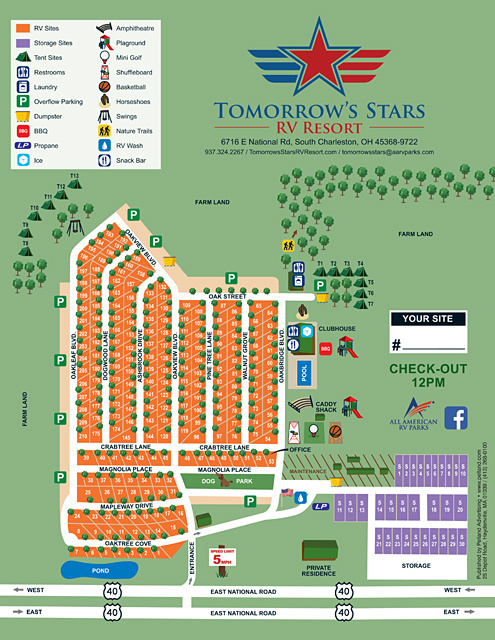 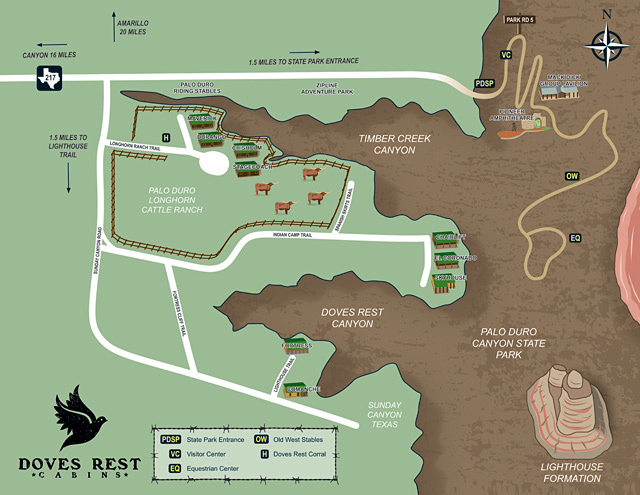 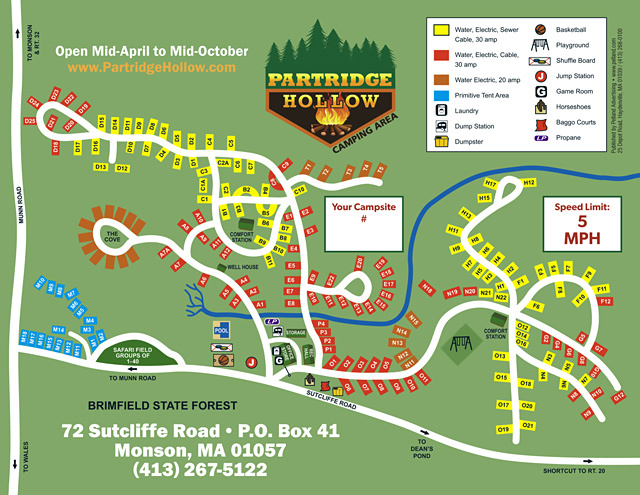 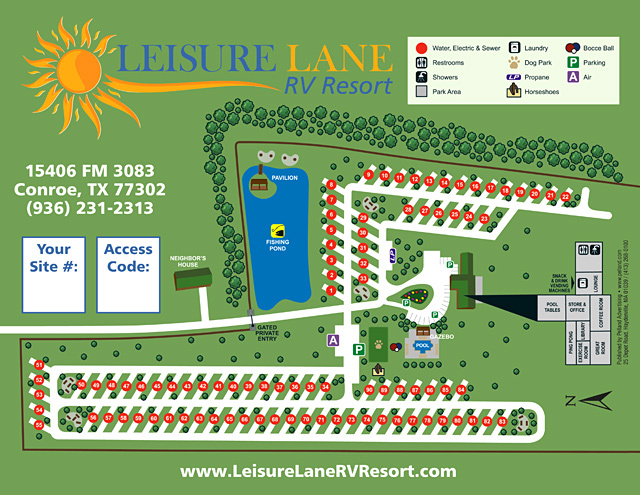 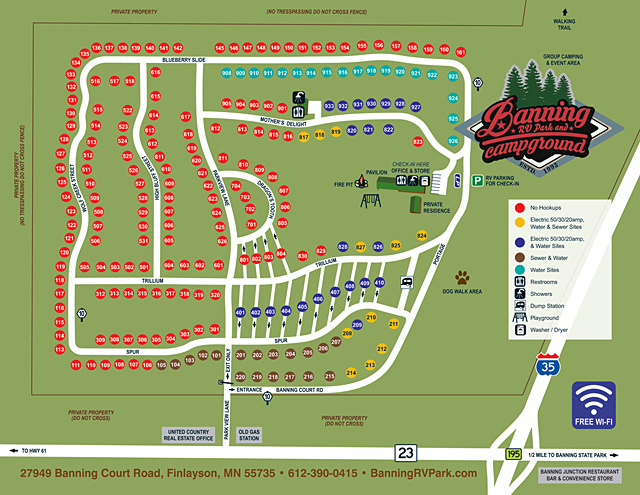 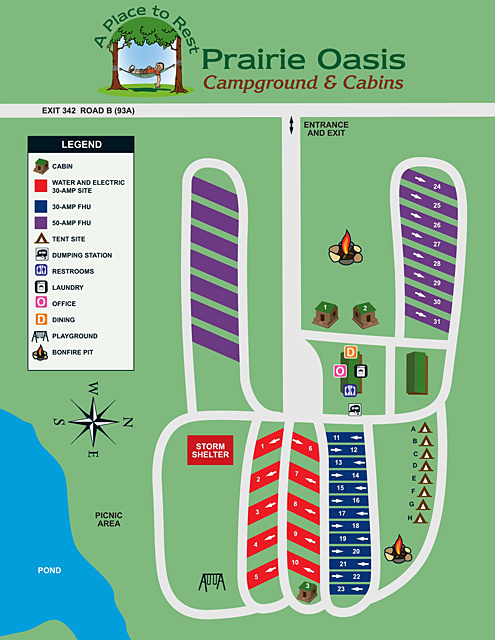 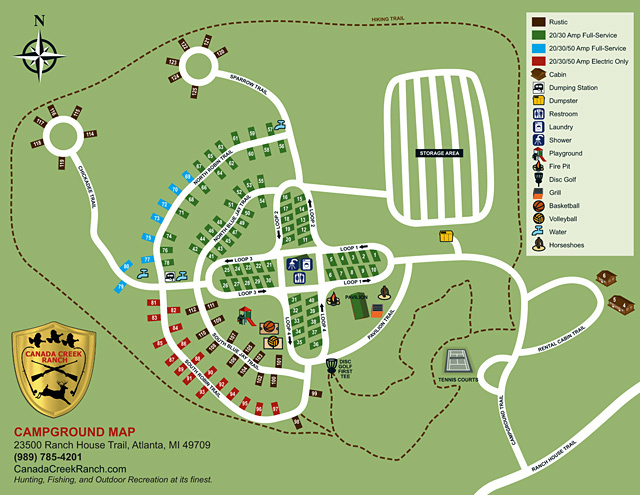 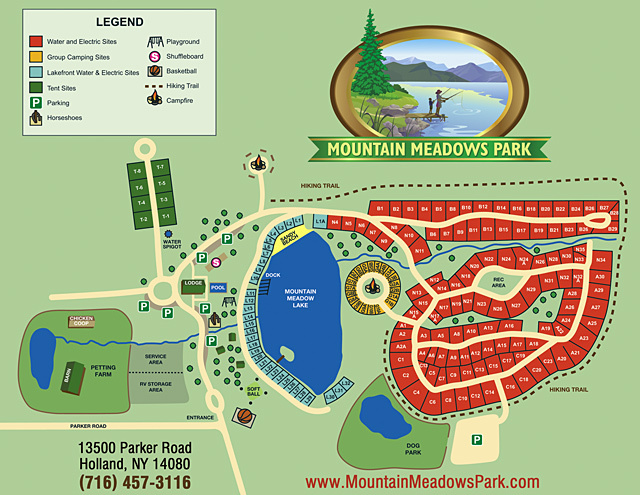 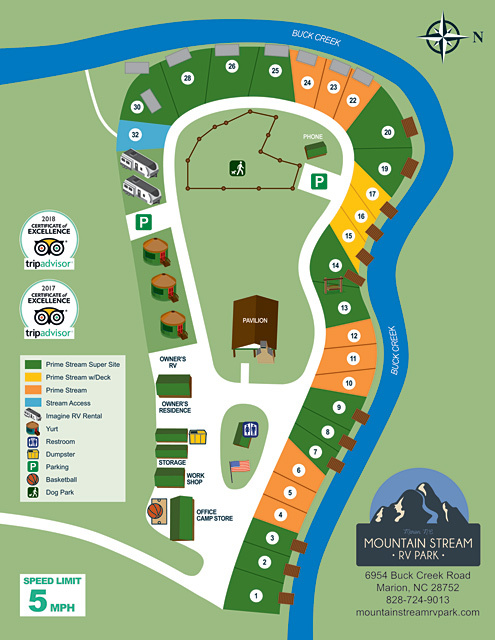 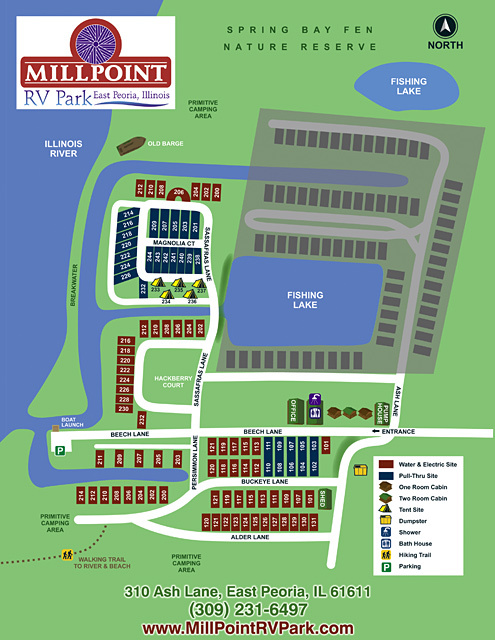 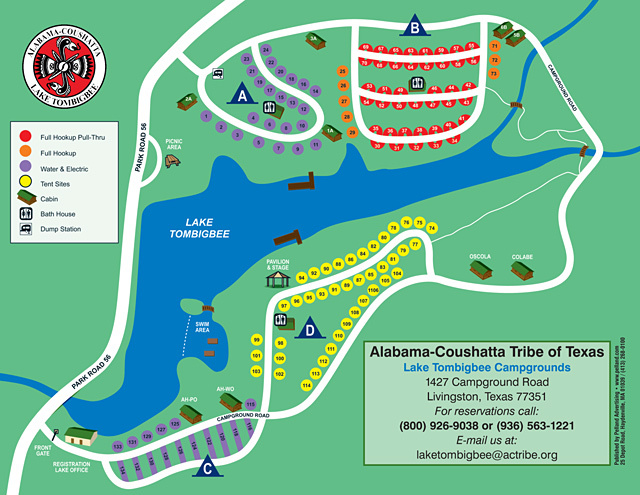 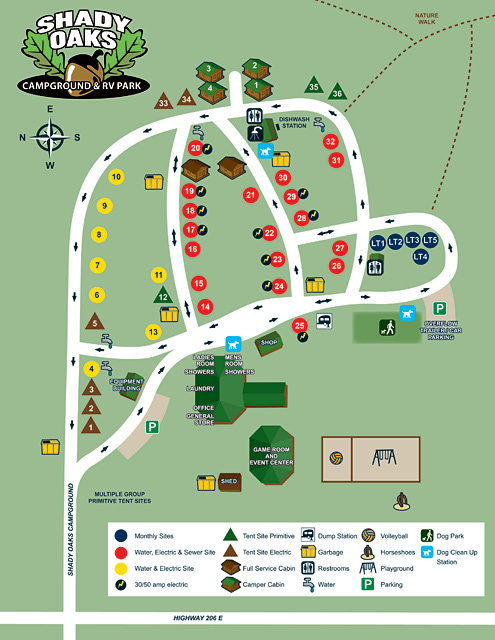 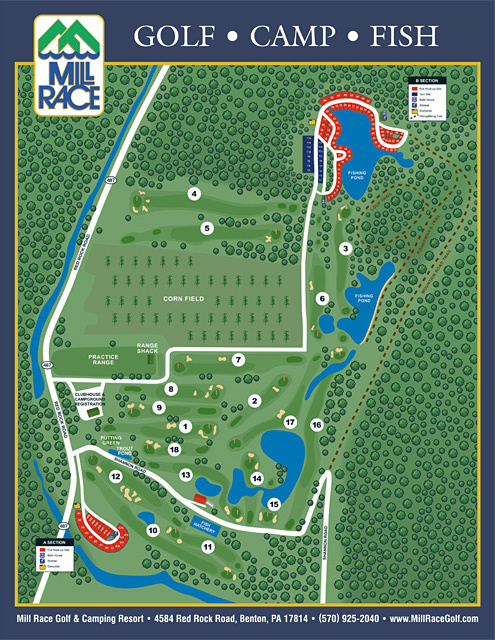 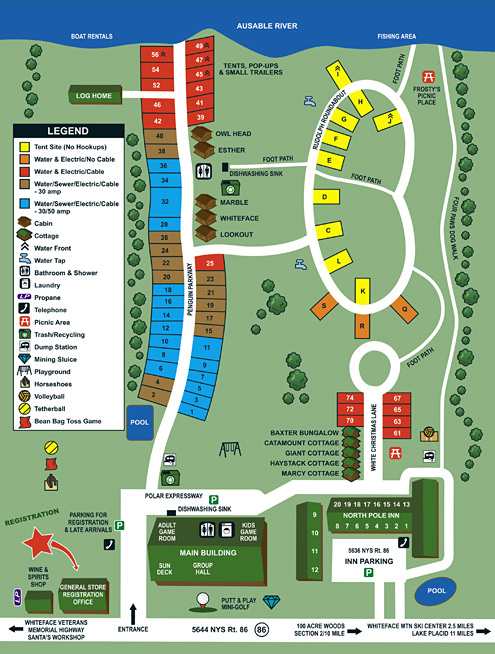 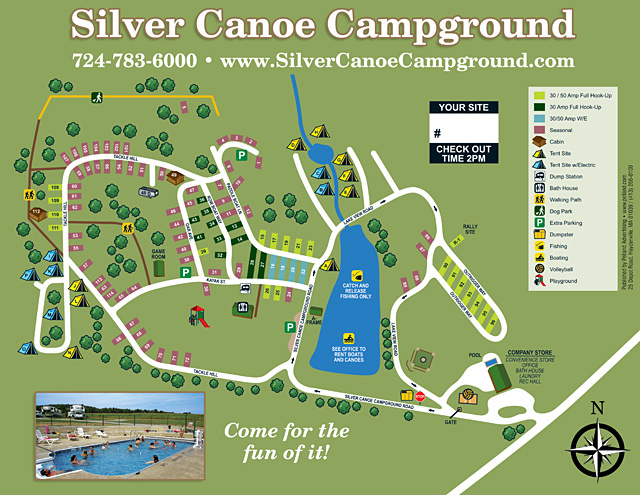 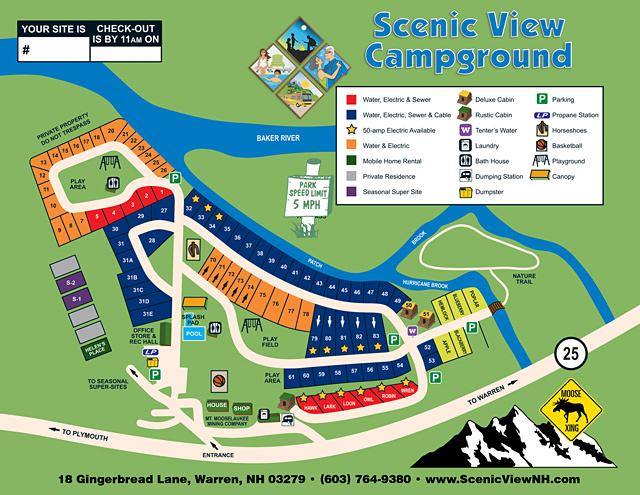 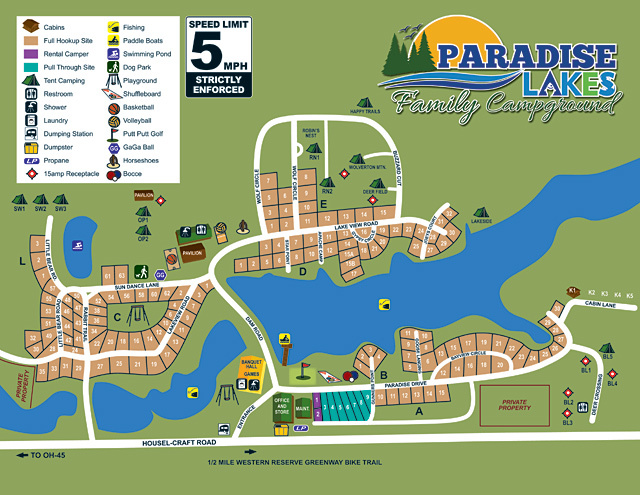 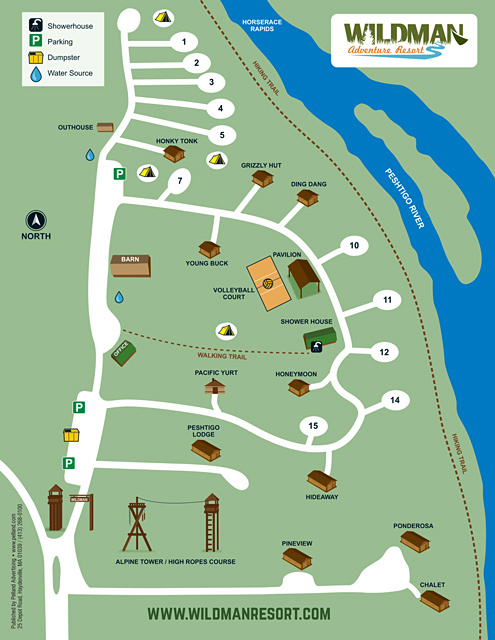 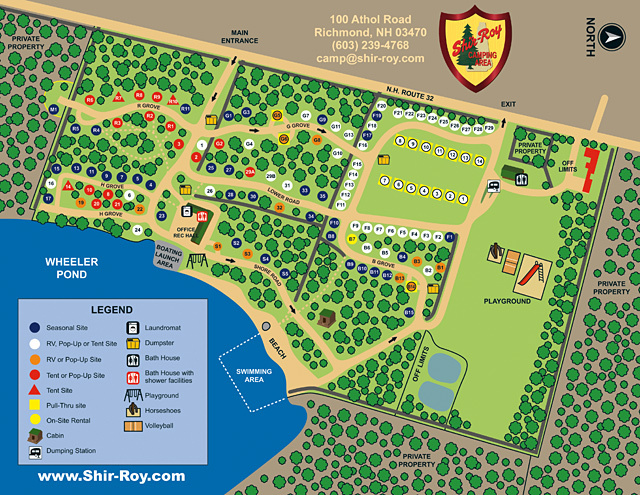 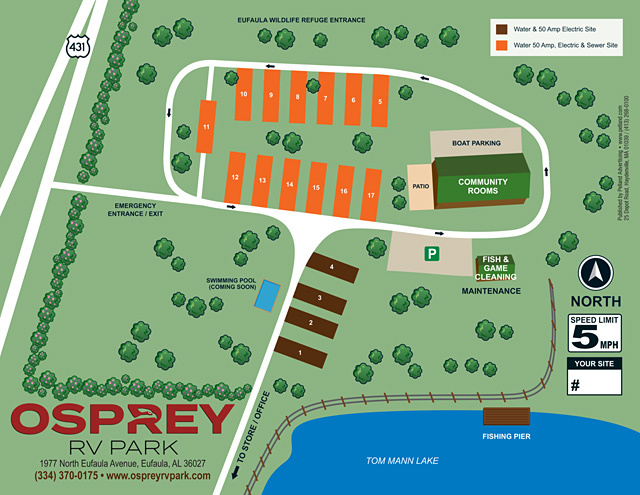 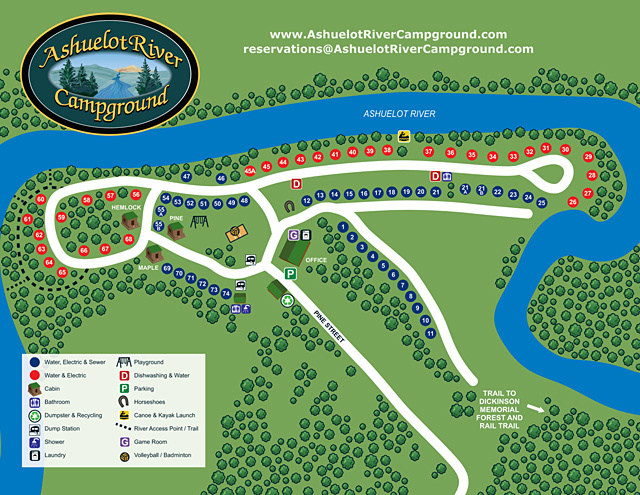 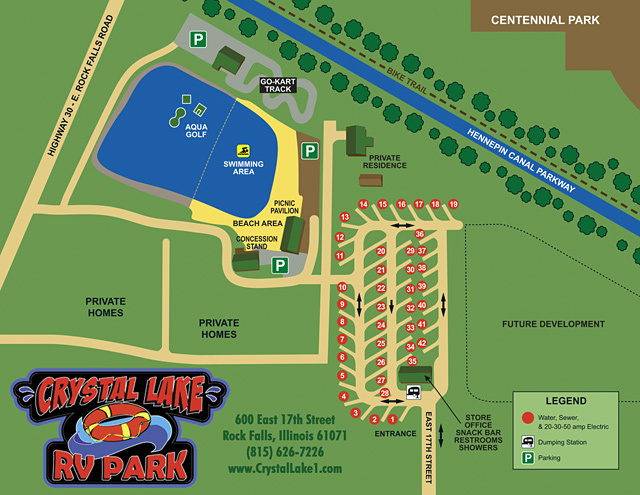 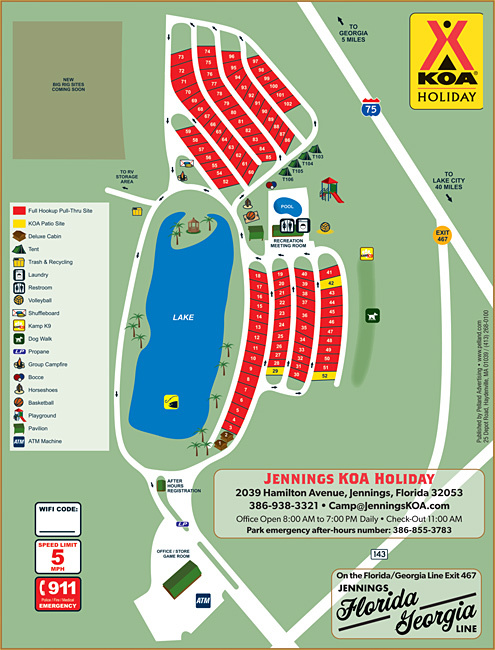 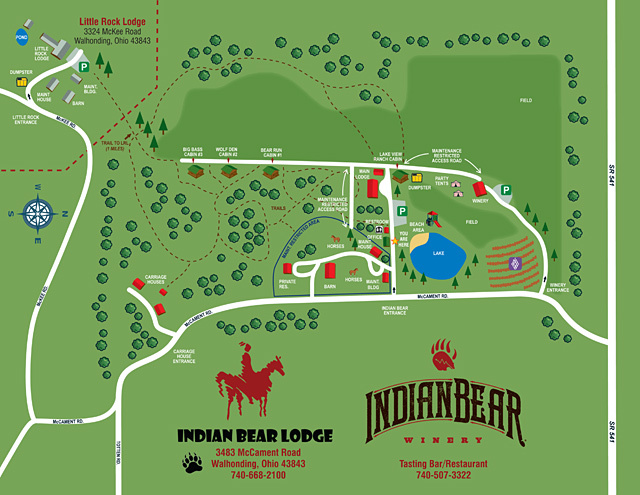 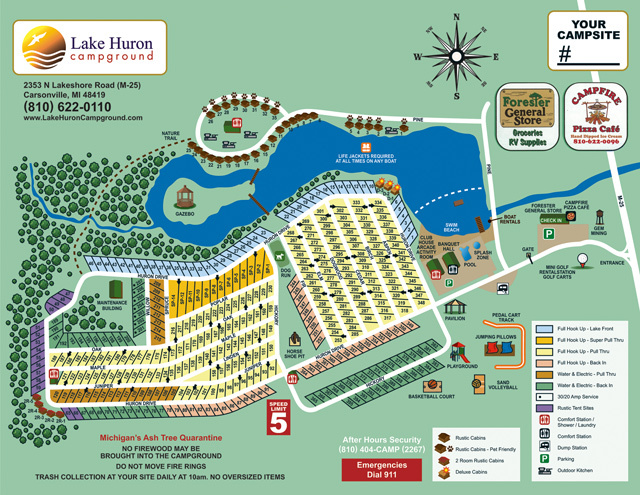 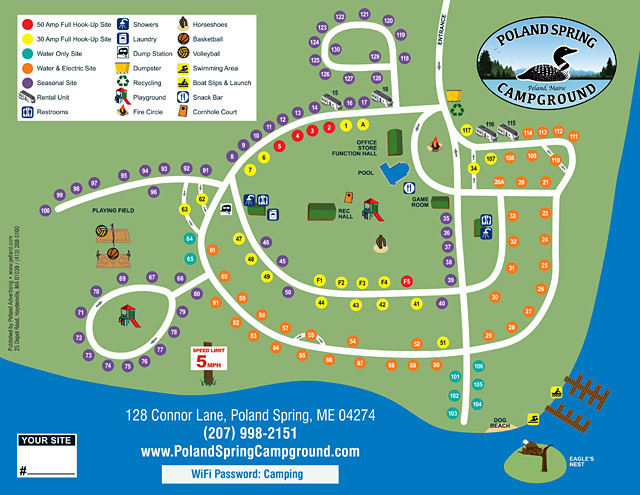 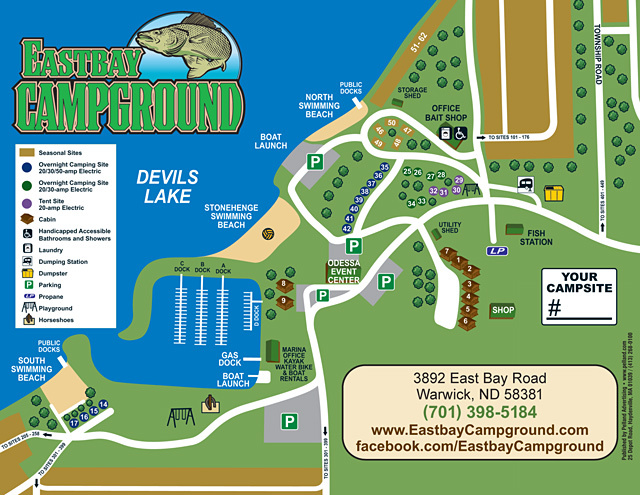 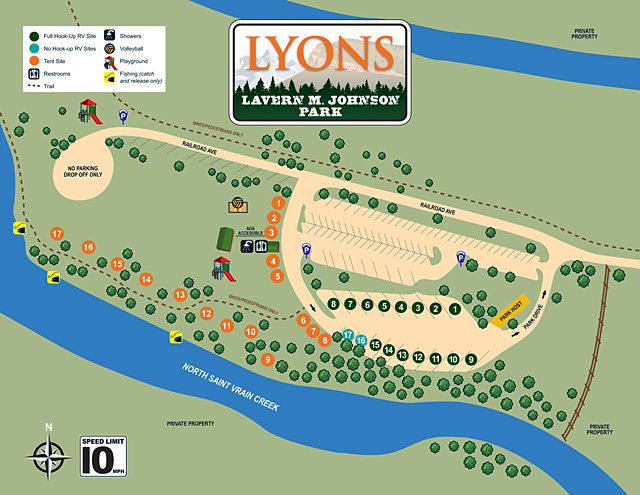 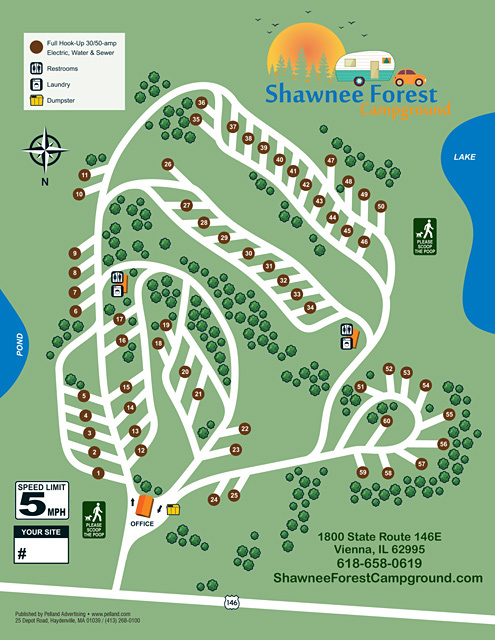 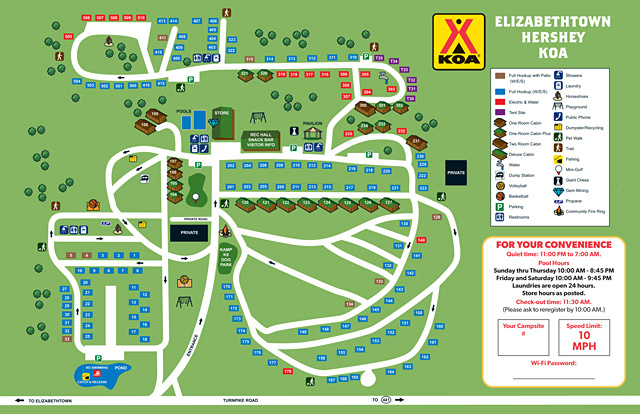 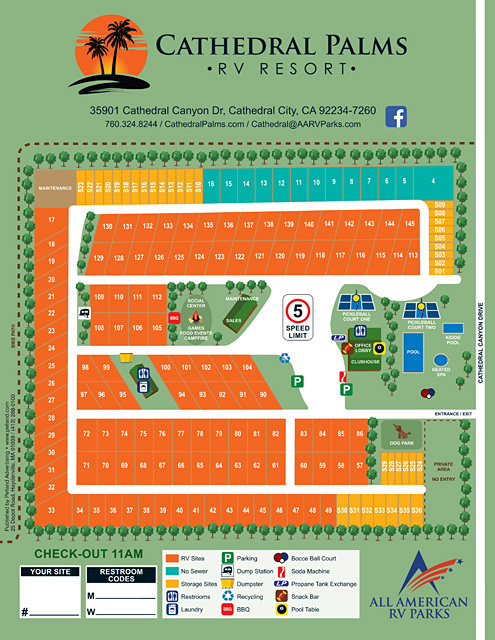 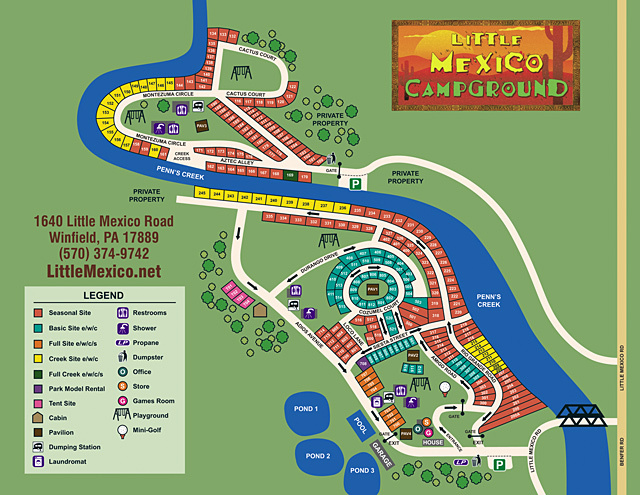 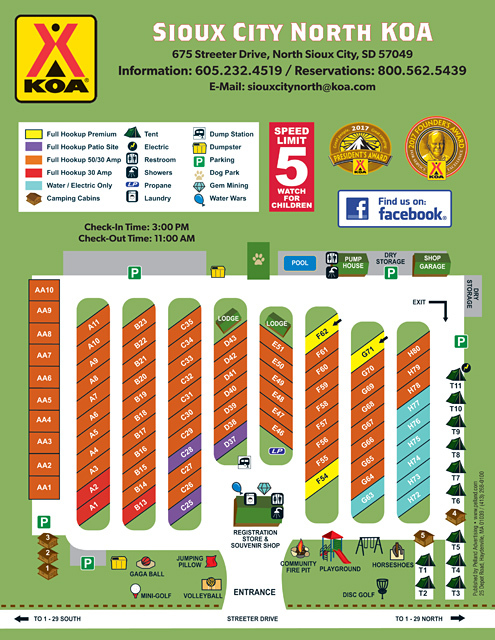 For an additional and very reasonable fee, we can also print various quantities of your new site map, in full color and with the option of text on the back (typically your campground rules), that you can hand out to guests at the time of registration. 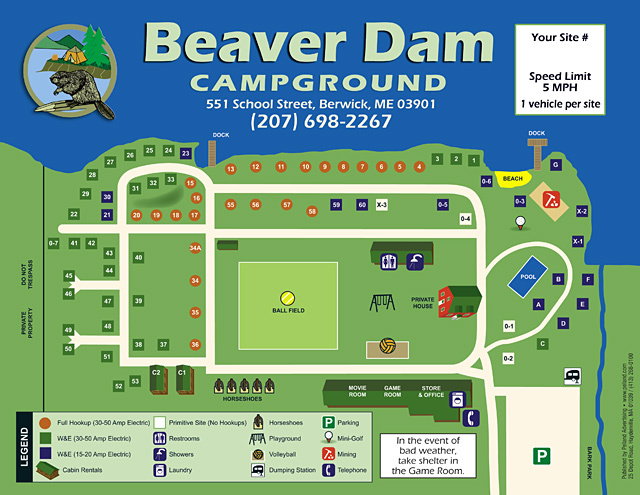 The cost of having us print these maps on a smooth coated stock will be far less than the cost of the consumables that you would use to print maps on your office printer. 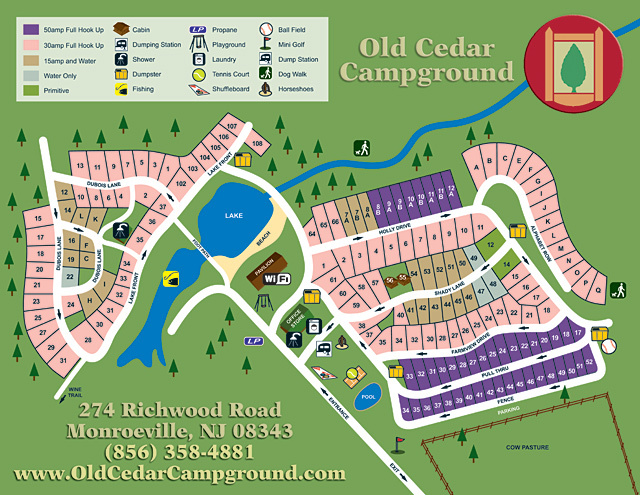 If we are printing your site maps, we will perform one round of minor edits once per year, usually at no charge. 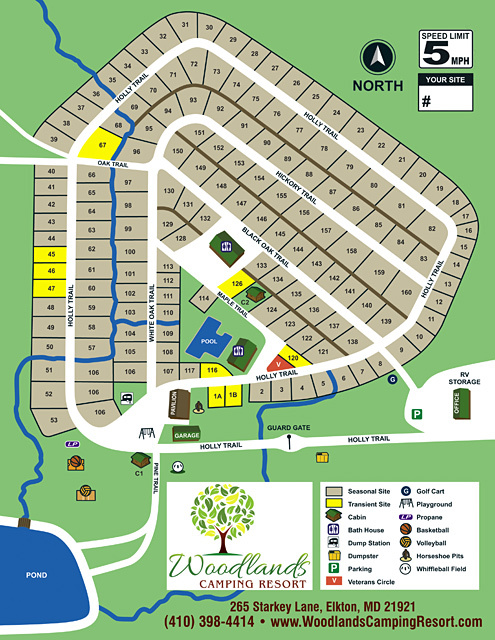 A reasonable fee will apply for major revisions or if we are not printing your maps. 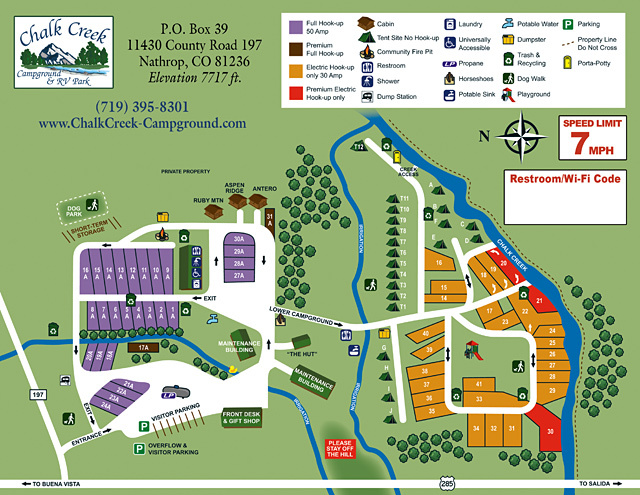 If you would like to have advertising cover the cost of your site maps, we are also here to help. 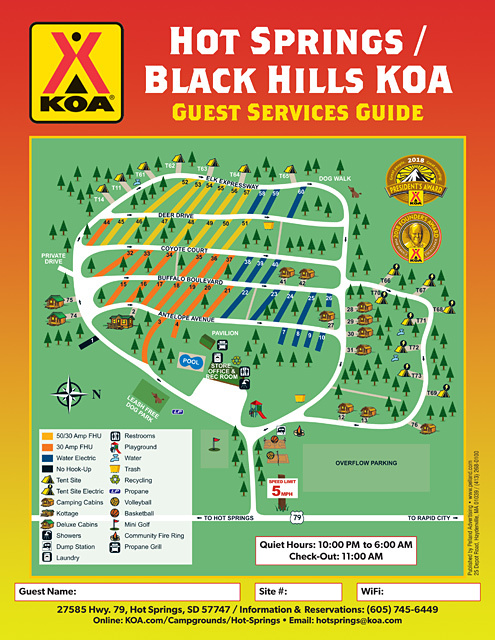 The difference is that you will sell your own ads, to people who you want to advertise on your map, and the profit that would otherwise go to one of the big site map companies will go into your pocket instead. 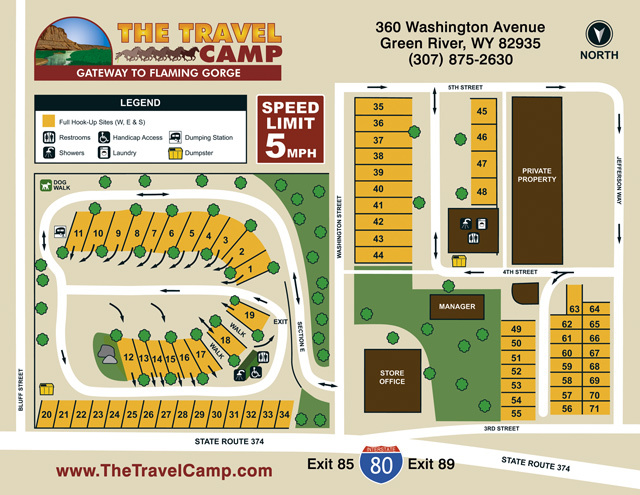 On a typical project, requiring fairly minimal effort on your part to sell the ads, you could realize a net profit of $2,000.00 - $3,000.00 after paying for our entire package of services. 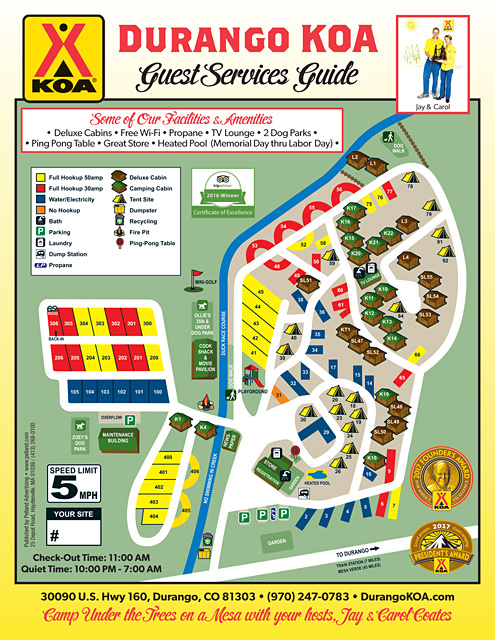 Watch our video, below, to learn more about our site map production services work. 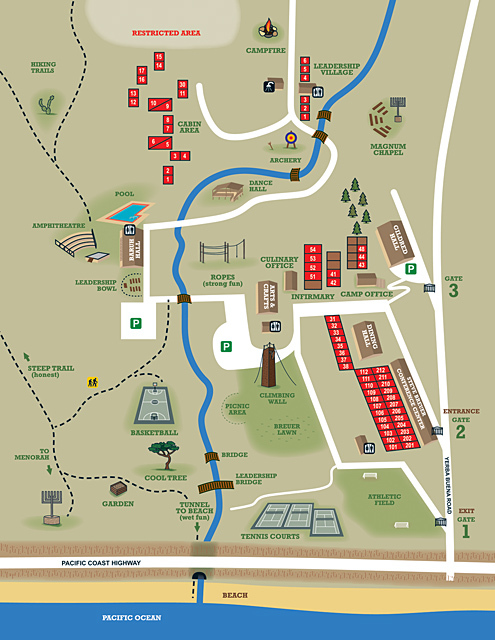 After producing the maps, shown below, both Camp Hess Kramer and Gindling Hilltop Camp were heavily damaged in the devastating Woolsey Fire that ravaged Southern California in the autumn of 2018. 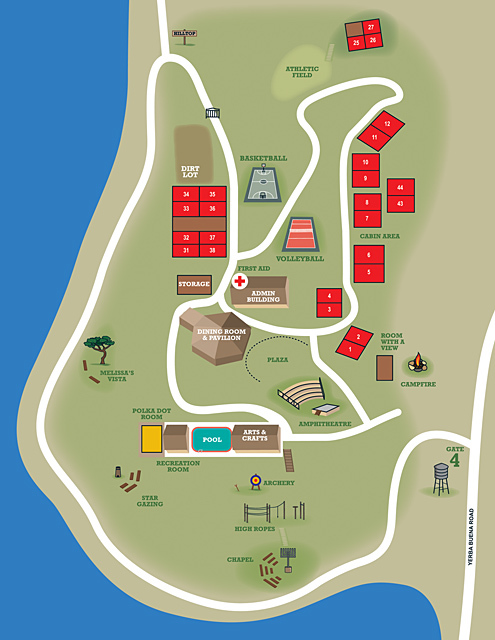 Click here if you would like to contribute to the recovery fund that has been set up to rebuild the camps. 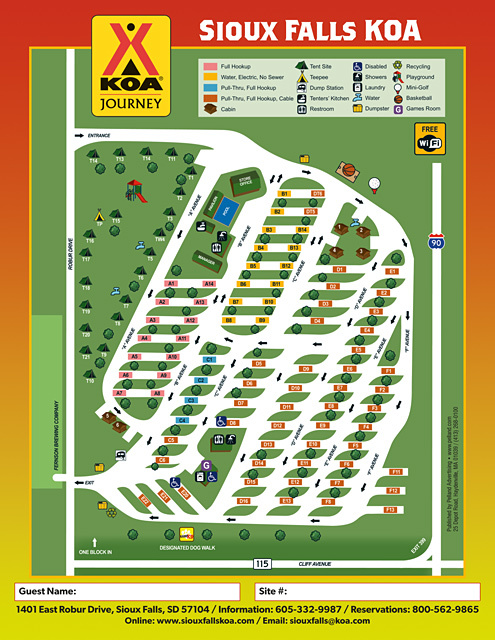 Click here to view a PDF version of this map. 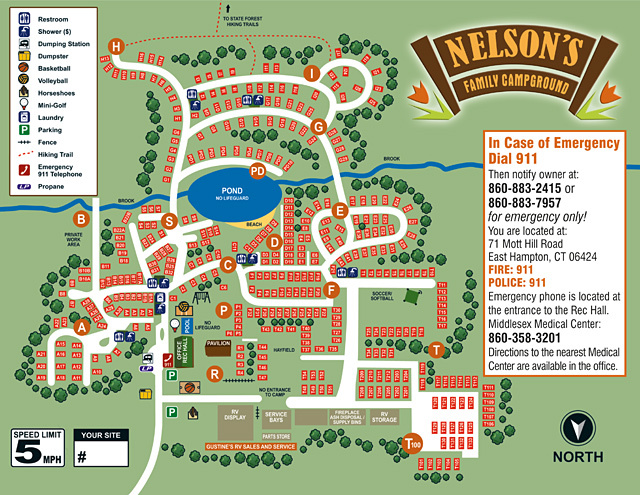 Contact us to get started on the production of your new site map today!